Additive for liquid caustic soda 50%, for use in cleaning circuits and industrial bottle washers, suitable for hard water. 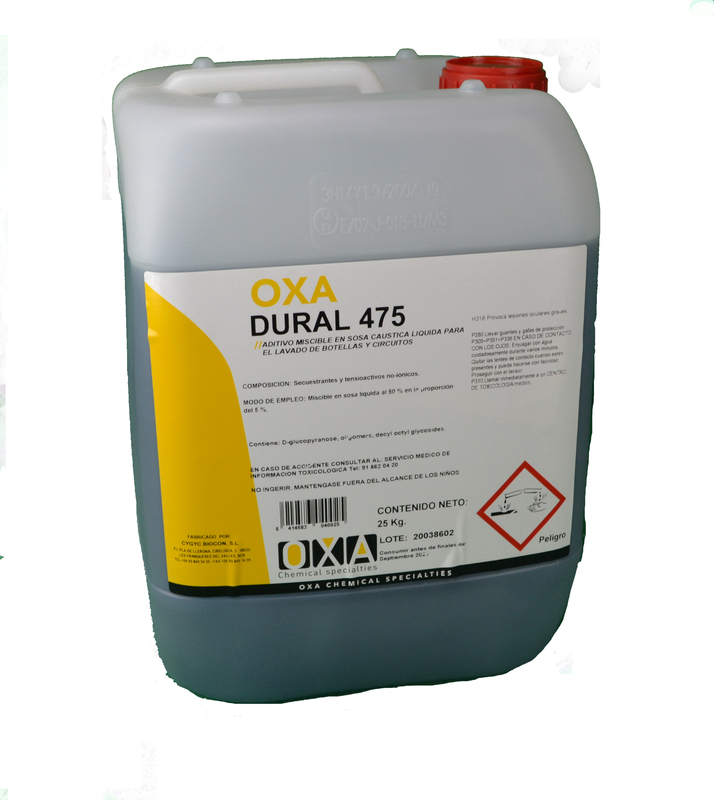 The OXA - DURAL 475 is a fully miscible and stable in 50% caustic liquid additive. When dissolved in it leads to a product of intense action detergent and high moisturizing power. Produces a rapid and complete draining of the bottle while gives excellent brightness. No foaming under the conditions of use. Can be used in hard water due to their high sequestering power.